The General panel contains non structural global options. It is divided into five logical sections. 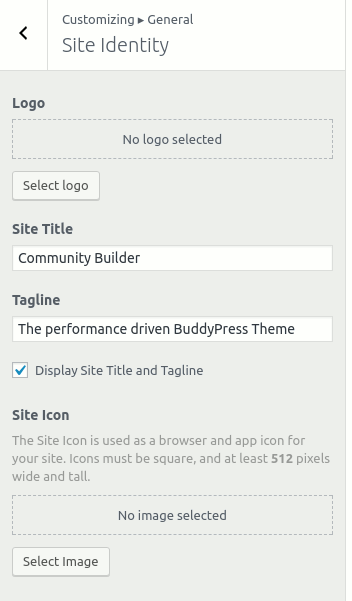 This section contains the default WordPress settings like changing Site title, tagline, Logo, Site icon. For styling these, please see Styling->Site Title section. Use it to add your logo or change your site title. 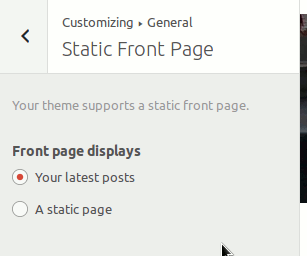 This section contains the default WordPress controls for changing site front page. You can select what should be displayed on your site home page here. All the links are optional. 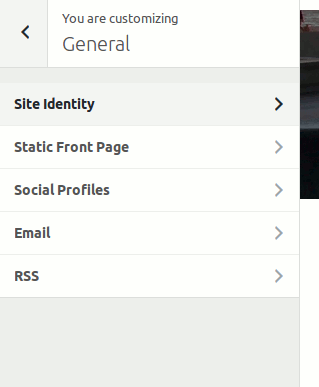 You can show these links in header or footer(Options in relevant section) when needed. 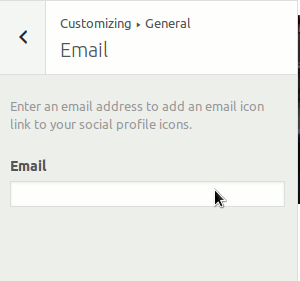 Email is just another displayed data which is displayed alongside the social links in the header/footer. 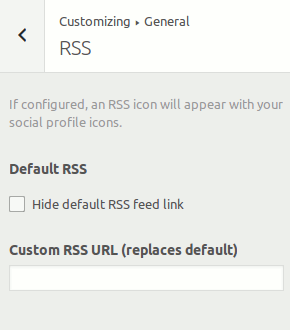 This section allows you to show/hide RSS link icon alongside the social links. You can also specify a custom RSS URL. In that case, your site’s post feed will be redirected to that url. You can use it to add feedburner or other feed url. That’s all in general panel.